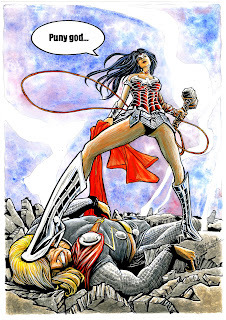 Wonder Woman vs Thor - Acir Piragibe and Salomao Salviano Looks like Diana's watched The Avengers and is following Hulk's lead! Vixen - Darron J Jackson Yeah it took a bit for me to stop wowing over the below to. Awesome choice - stunning result. 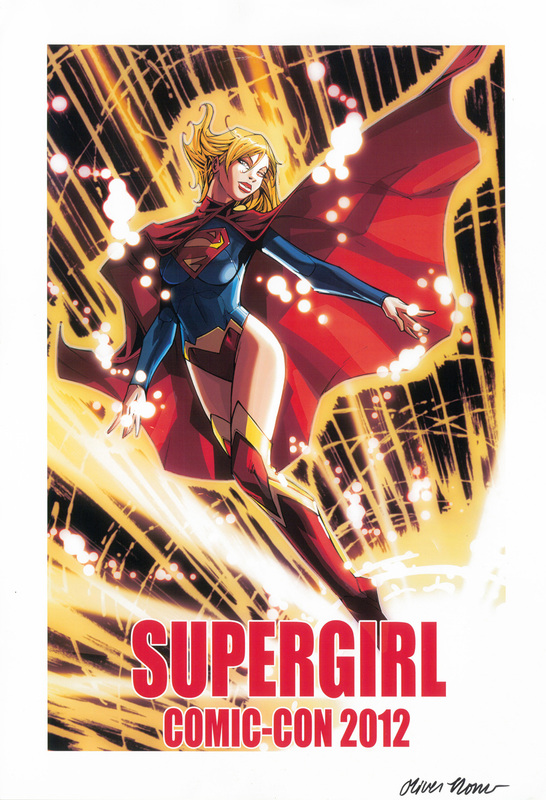 Supergirl - Oliver Nome While for me the Maid of Might is always best in her pre-original Crisis garb, this DC52 version isn't that far away from it, especially drawn like this! 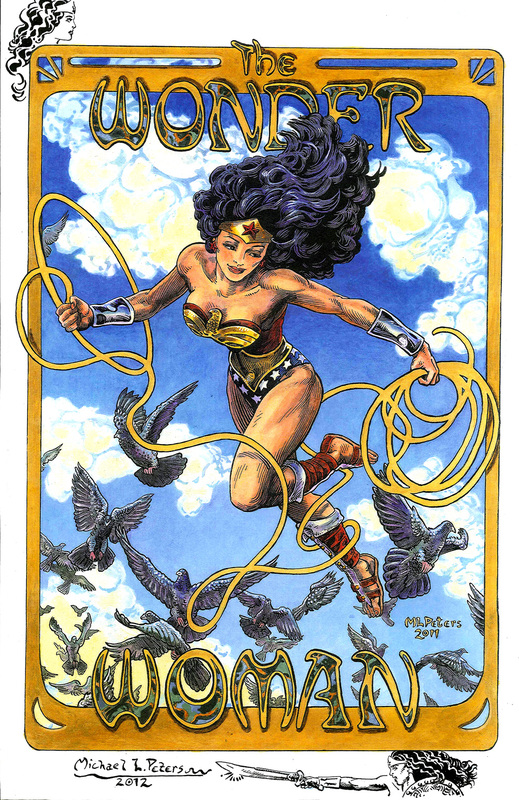 Wonder Woman - Michael L Peters What, you didn't think I was going to include just one Wonder Woman did you? Just look at how well Michael captures the nature and heritage of the character! Those boots, that smile - even the typography - if any piece was headed home with me this year, this one would've been it! What do you think? Sound off below, or for the complete Women of Wonder Day gallery, click here! I attended the last Wonder Woman day in Portland, Oregon several years ago and had a *cough* wonderful time. That event also had a domestic violence theme and was very well organised [and I got to meet William Moulton Marston's grand-daughter, who Im still friends with - bonus!]. Im surprised -maybe I shouldnt be, we live in politically correct times after all] that this years organization enphasises men beating women, and ignores that on a minor level some men actually get beaten by women. 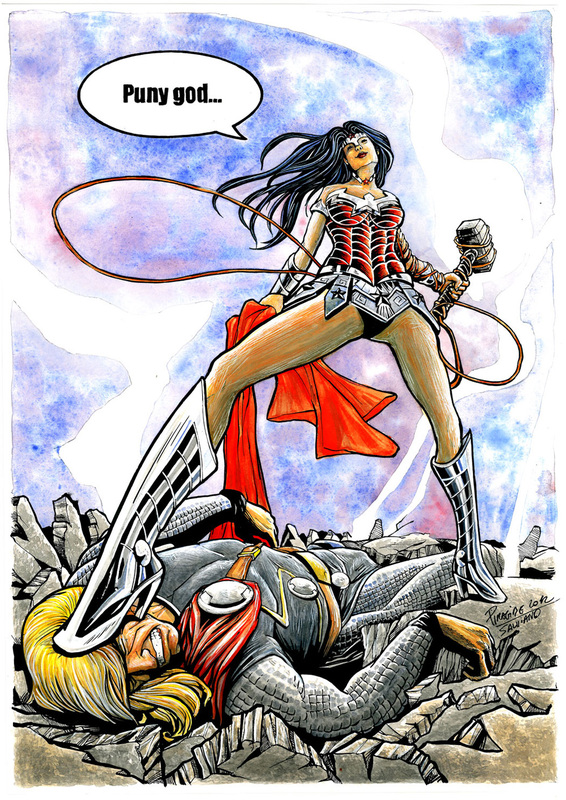 And as much as I love these Wonder Woman pictures here [gorgeous by the way, absolutely gorgeous] its unfortunate that by drawing attention to domestic violence we have the first pic showing Diana having beaten Thor. That could be slightly [I hate this overused word, even tho Im using it here] innapropriate. Sorry if this is a bit of a downer[!]. Admirable event all the same, and worth supporting. You know what Karl, I didn't even make that connection, but you're 110% right! As a counsellor in a previous life, I completely agree. Sometimes it's male vs female, others female vs male, and in a aside to that there is also male vs male or female vs female, when not only lesbian or gay couples fall victim to the same abuse patterns, but when their lifestyle and how they view its perceived by the world around them, can also stop them seeking help or coming forward. Still as you say, any event that seeks to address these issues is one worth supporting, and hopefully it continues to do so in the years ahead! Vixen is so serious right.?. As in delisious. When I see the Tiger in the background, I don't see heer power but her silent and deadly soul mate. I'm just going to ignore the green tantu totem. And in the name of violence, bloody and intense. I think agent orange and the green policeman should tie it up. 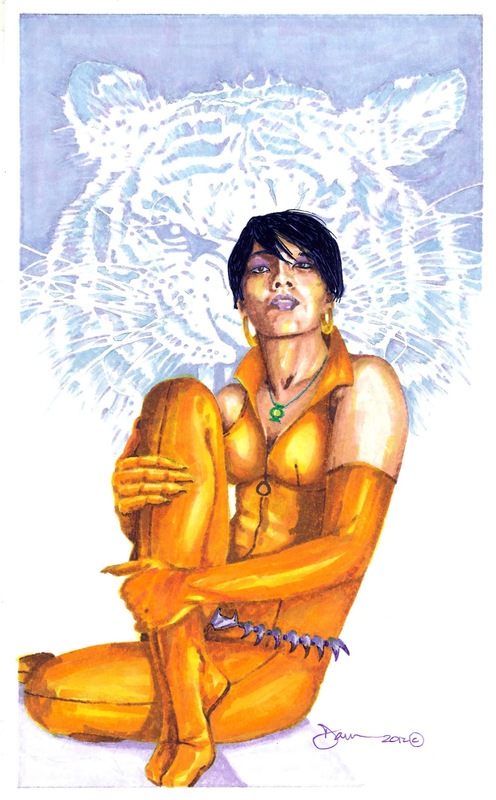 Vixen is truly a hit image O.A - hopefully DC have much planned for Mari, she's to great to be kept down for long! Yeah, I like blonds too Pensol and agree, they would make a nice couple. Liked the very short lived relationship between Wonder Woman and Nemesis. Karl and Dan you're so right about domestic violence on all acounts. Shame and fear just helps to prepetuate these crimes. Thanks Pensol and Aliera! You know I honestly thought heading into Avengers vs JLA that Wonder Woman earning Thor's respect and in-turn heart would be the catalyst to the teams uniting, so completely agree with you there. THANK YOU for posting this and the comment about this piece. That is (Unfortunatelly) the worst scanned pic of my art work. (VIXEN) What makes even worse is that I'm the one that scanned it. LOL The actual piece was done for the Wonder Woman Day charity auction a few years ago and was very BRIGHT and full of colour. Hey D.J. Jackson - thanks for stopping by, and no worries at all. Bad scan or not - you are one talented dude!